Announcement 💜We're shutting down for a moment but will be back soon. See you then! 💜Need to contact me? Just send a email. 💜We ship within 1 business day!! 💜WE SHIP TO ALL COUNTRIES!!! 💜We're shutting down for a moment but will be back soon. See you then! Step into fall a little differently this year. Add a felt floppy hat to make this dress feel more casual. Dress in Pieces You Love, That's a Reflection of Who You Are & Who You're Striving to Be! Style Stingy Vintage was born out of the love of looking fabulous everyday. No matter if you're running an office, running errands, or running after your toddler you deserve to feel special because you're one of a kind. At Style Stingy Vintage, we source only beautiful pieces that we would love to wear, not whats trending or fashionable. Sometimes our pieces fall into those categories. The Style Stingy Vintage woman has a style all of her own. She knows what she likes, and what works for her. Thank you for taking the time to look through our shop. Let us know if you have any questions. Yes you can reserve an item for 7 days only. When you request to have an item reserved please be prepared to leave a 25% non-refundable deposit. We love working with our customers but we need to make sure all items are available to serious paying customers. If you have further questions please feel free to contact us. Thank you. 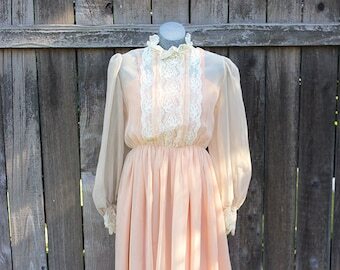 All items are VINTAGE and have been previously owned by another individual. A piece may show signs of wear due to its age and history. We try to bring you pieces that are free from major damage or flaws but if we absolutely love a piece it will be posted for sale. Any flaws will be described in the best of detail and photos will be provided. Clothes are washed and cleaned to the best of our ability unless special cleaning is needed (dry cleaning, leather cleaning, fur cleaning, etc.) If you have any questions about a piece please feel free to contact us. Thank you. Your item(s) will be shipped out within one to two business days. We always aim to ship your item the same day if time permits us to get to the USPS before closing. We want you to be happy with your purchase so we take the time to measure and inspect each item properly. Please double check our description box above before you make your purchase to ensure the item will meet your needs. We try our best to photograph our photos to match the color of each item however we can't control the color setting on your computer so the color may vary from screen to screen. If you need further assistance please contact us and we’ll get back to you shortly. Thank you. International buyers are responsible for any and all Customs Charges, Taxes, and Additional Postage Fees. We are not responsible for any items lost while shipping internationally.. Item(s) will be shipped First Class International. This is the cheapest shipping cost. If you want to upgrade to priority international please let us know before you make a purchase. The time you receive your package can take any where from one week to twelve weeks. Unfortunately we are not in control of this, the shipping carrier is. Your package can be delayed because of weather conditions or is held in customs. If you have any further questions please feel free to contact us. Thank you. These are vintage items so the sizing can vary in comparison to todays standard sizes. Please double check the measurements that are provided in each listing with your current meas. to ensure the item will properly fit you. We hate for you to get an item only to have to send it back due to size issues. If you feel there is a specific meas. that you need please contact us and we will gladly assist you. See how we size garments.